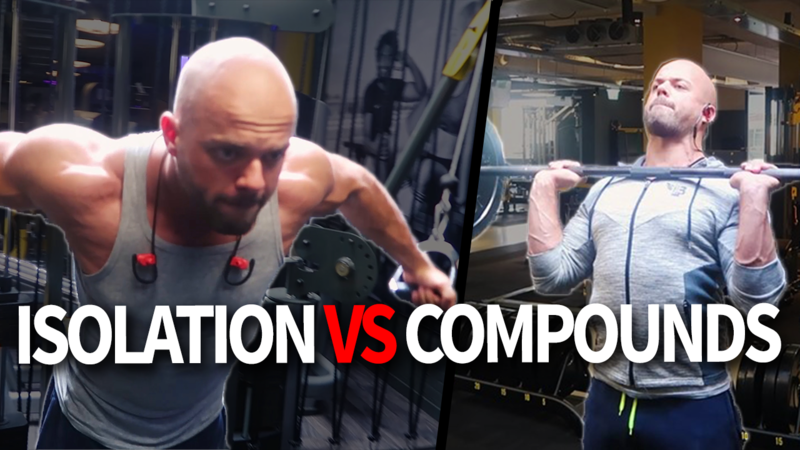 Compounds vs Isolation Exercises – Which One is Better? Alright, massive discussion. Compounds versus isolation movements. Which one is better? Should you only do compounds? Should you do more isolation movements? Well, There are downsides to both of them (and benefits obviously). The Fitness/bodybuilding world puts a massive focus on isolation movements. Most workout plans nowadays consist of more isolation movements than compounds. Lead to a higher risk of injuries. Now ofcourse they have their place, I’m not saying eliminate them, but they definitely have some serious downsides. we will get into that in a second. A great guideline is to put your focus 80% of the time on compounds and 20% on isolation movements. And they cannot be trained for long-term progress the same way that big compound movements can. Even in the Short-term, studies have shown that isolation exercises do not beat compound movements when looked at the muscle growth in same muscle. The study shows that, in novice lifters, bicep curls don’t put any more size on your biceps than a lat pulldown does. Both groups focused on progressive overload and sufficient volume for growth. And even a group that added bicep curls after the lat pulldowns, didn’t gain any more bicep size than the group that just did lat pulldowns. If you want to train your chest, front delts and triceps. They’re going to get a lot bigger in the long term by doing the bench press instead of isolating every muscle, because you can program the progressive overload of the compounds a lot better, they will not stagnate as quickly. You can isolate every muscle (for example: chest, delts, triceps), or you can just do the bench press and be done within a 3rd of the time it would take you to isolate all three. I’m big on efficiency so it doesn’t make sense to focus on isolation exercises for primary growth. Isolation Exercises: Why and When? You do isolation exercises because everyone develops weak points. Let’s say you’re working out for a year and all you do is compounds. You do the bench press with good programming, and notice your triceps are lagging (like mine) when compared to your chest and shoulders. In that case: you go and isolate your triceps after your bench press workouts. The same goes for other compounds and lagging muscles. You should never have to isolate 2 of the 3 muscles involved. So again: chest, delts and triceps for this example. If you come in the gym, do bench presses, then do chest flies, then do front raises and then do tricep extensions. That’s dumb. You could have simply do more volume on your bench press, to get the same effect and save yourself a lot of time. Doing more sets on the bench press will also make you more efficient in the movement, causing you to be able to lift more weight and progress even faster. You only do isolation exercises when one of the involved muscles isn’t developing as quickly as the other primary muscles. Now another reason you might want to do isolation exercises, I’m not that uptight, is because you might enjoy doing a certain movement. then do like 3 sets of high rep chest flies and then do overhead tricep extensions. The tricep extensions are fine, they need some extra work because my arms are lagging pretty bad. But during the chest flies I’m well aware of this. I’m thinking ”man I’m dumb”. But I do it because I enjoy the exercise and I like the feeling of a painfully pumped chest. I’m doing it for fun, not because I think I’m getting any more results out of it. You should always have fun working out, that’s the most important thing to be honest. So switch things up or include some things you like from time to time, but don’t do it because you think it’s giving you any more results. They cause more systematic fatique. Especially exercises that compress your spine like squats and deadlifts. 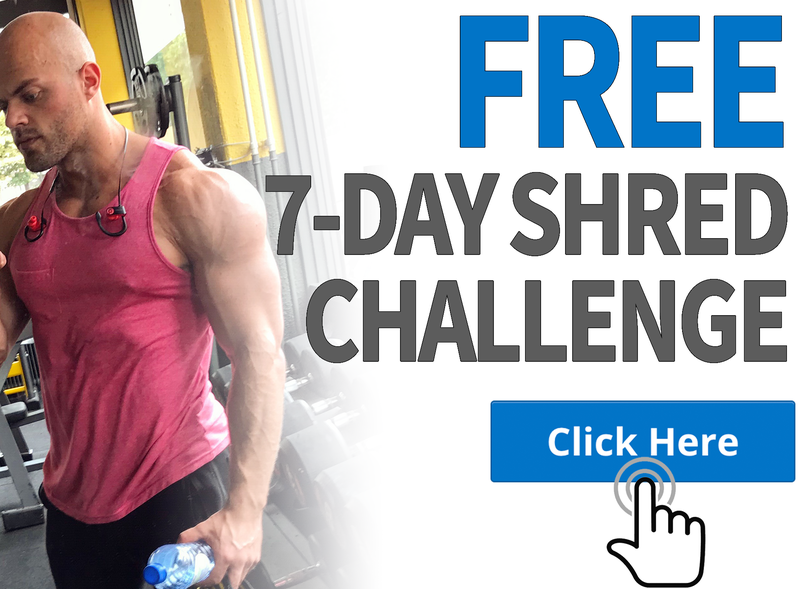 It’s simply easier to overtrain with big compounds. There is a limit to the amount of volume you can recover from on your big compounds. And that is where specialized training comes into play. So if you have a lagging muscle group, you can’t do enough extra compounds and still recover from them to bring up that lagging muscle. It then makes sense to do a tricep extension for example or a chest fly instead more bench presses because it’s easier for your entire system to recover from. But This is where a lot of people don’t have to worry about. Most gym-go’ers that say they have multiple lagging muscle group, just have to do more big compounds with a full range of motion, with enough frequency and volume. Only worry about this stuff if you do big heavy compounds multiple times a week with a lot of volume. They are harder on tendons and joints. Usually people think its the other way around: That its the compounds that are harder on them, but no. The weight is evenly distributed across multiple joints. The more joints and muscle groups involved, the easier it is for your body to handle. Also we handle the joints angles better of compound movements than those of certain isolation movements. Your knees handle squats better than they do a leg extensions, because you’re pushing your body through a normal movement pattern and the weight is distributed across multiple joints. With an isolation movement you’re very often concentrating that load right on 1 joint or one set of tendons, at an angle that’s not a natural movement pattern. In fact, most knee problems or elbow tendonitis that you get from training, is going to come from isolation exercises. When you do too much volume on isolation movements, you’re going to have more problems with tendon inflammation and joint pain than when you had done the same amount of volume with heavy compounds. So while the big compound movements tax your overall system and recovery more, more isolation movements tend to cause more inflammation at the connective tissue and joints. This is why you see so many guys who have been training for a long term, particularly the bodybuilders doing a lot of fluffy exercises, who only have sore elbows, they always have these minor muscle tears and they always have to wrap everything with wraps or sleeves because of the overuse of isolation movements with often bad biomechanical angles. So don’t be that person. Before you take someone’s advice. Especially the bodybuilders. See if the person is always having pains and issues with the elbows and knees. And if so, be skeptical about the advice. And this is especially for newer people in the gym where the technique becomes very important. Let’s agree that if you perform an exercise poorly, that might create imbalances in your body. And by imbalances I mean both symmetrical imbalances (left and right) but also push muscles in comparison to your posterior chain and pull muscles. 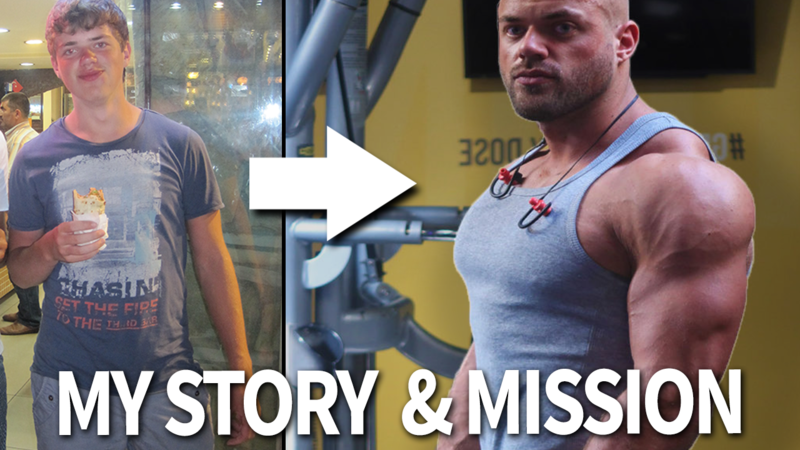 If we create 2 scenario’s: Where we want to train our chest, delts and triceps. And we will do either ONLY the bench press with a barbell OR we will do 3 isolation exercises. 1 for chest, 1 for delts, 1 for triceps. How many times more likely are you going to execute an exercise incorrectly? Causing your body to be trained and shaped in the wrong way (out of balance). If you’re a beginner and you have to go to the gym. You have 2 options: 3 isolation exercises or 1 compound. Which would you do with more confidence? To be honest, In my opinion, it’s much easier to learn a trainee 1 compound movements correctly than 3 isolation exercises. I see more people perform isolation exercises poorly than I do with compounds. Even WITH a personal trainer. You will see that every training (if you have trainees do a bunch or isolation exercises), that the personal trainer has to correct and remind them of the execution every workout or even every set. A beginner’s mind and body doesn’t want to learn tens of different movements and cue’s. It needs to learn how to use multiple musclegroup simultounasly, co-ordinated in the right sequence and engrain that movement pattern. Doing only isolation exercises will now give you that benefit. Instead, if might grow your muscles and get you a little bit stronger but your body will be dysfunctional to put it bluntly. Anyways, thats for you to think about. Both extremes of the spectrum are bad. Get a healthy mix of compounds and isolation movements, about 80/20. Use the right tool for the right job. Focus on big compounds, and add isolation movements for those musclegroups that you think are lagging compared to the other accessory muscles.